Belts are normally overlooked, simply considered an item that “will hold your pants in place”, right? 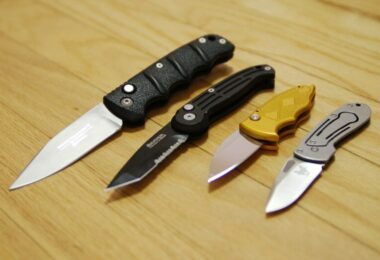 However, what about when you like camping, hunting or need to carry weapons or gear with you? A normal belt won’t get the job done, and those who carry guns or other gear with themselves daily, know the importance of having them at arm’s reach. What about the best tactical belt? That’s why tactical belts exist, to be much more than just an accessory to hold your pants. The best tactical belts will help you carry guns or magazines, flashlights or other equipment in a comfortable and concealed manner. No wonder why patrol officers, hunters and the military use them. This article will give you an excellent overview of the best tactical belts that you can choose from. 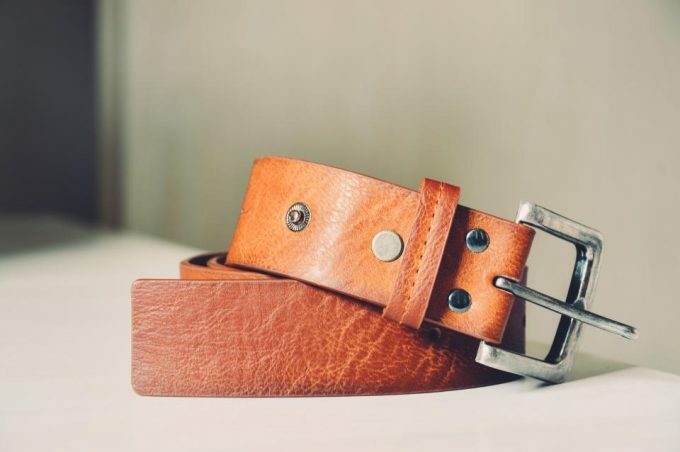 First, we will take a detailed look at the features you should consider before buying one, so that you have a good idea of what differentiates a common belt, from a good tactical belt. Then, we will analyze the best-reviewed models, so that by the end, you can purchase the one that’s suitable for you. Before you go out to buy your new tactical belt there are a few features you should consider. Bear in mind that a tactical belt is quite different from a normal belt, not only from the looks, materials or feel, but because of what you are going to use it for. First, determine your purpose, if you are going to carry a weapon, or other equipment, like a flashlight. Then, you cans tart looking into the features we have included below, as they are all significant to finding the right one for you. We know that measuring the strength of a belt is hard to do, as not all of them exactly give you the measure of it in units. However, you must know that a tactical belt will be carrying a significant amount of weight, from pouches, to holding guns, or magazines. Sometimes even used as straps to hold other equipment. That’s why the strength is key. A good way of measuring it is grabbing it and pulling it, that way you’ll get the feel of the belt, if it seems strong or not. Other models will actually give you a strength measurement, for example the King Moore’s Military Tactical Belt has a 100 N pulling force. The width of the best tactical belts, is always of 1.5 inches or more. A very thin or not wide enough belt won’t hold. This is interconnected to the strength of the item itself, so the thicker, the better. Some of the models have even a bigger width, from 1.75 inches to 2 inches wide. Those models are particularly strong and will probably have even a higher pulling force. However, they will also weigh more, so depending on how heavy is the equipment you’ll carry, the width can be more than 1.5 inches, or not. It’s up to you. If you are looking into a tactical belt, the materials are always going to be good, strong and durable. Most probably made of nylon or MIL-Spec nylon. Nonetheless, besides the materials it’s important the construction. By construction, we mean the way in which the fabric is put together. The best way is webbing, so make sure every time you look for a tactical belt, that the nylon or MIL-Spec nylon, or whichever material they use, is using a webbing construction format. 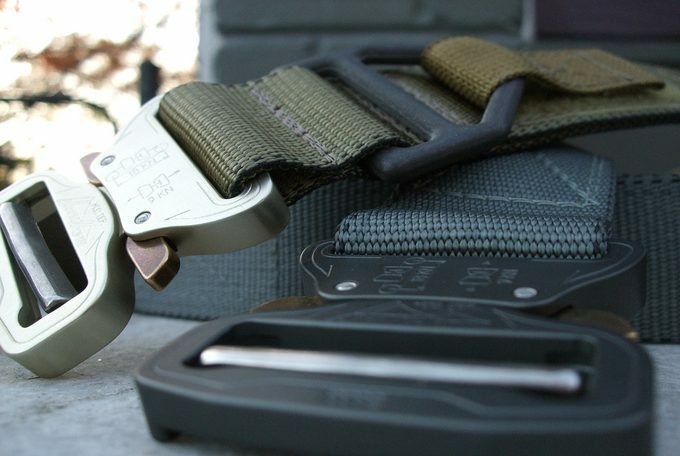 The buckle is one of the most important features of any tactical belt. The first thing to look for is a quick release buckle. You want the belt to be easily released, or opened, as it will save you time when putting it on or off, or when using it as a strap. Secondly, but not as important, is the material. Some of the buckles are made of metal; others are made of strong plastics, which resemble metals. The latter ones are called airport security ready buckles, and are specially designed for those who will use the tactical belt whilst traveling and don’t want to take it off when going through airport security. Some belts come with built in or additional accessories. Most of the add-ons are either pouches, or magazine holders. They will add a considerable weight to it, but save you the hassle of having to buy them separately, if you don’t have them already. If you normally carry guns, or look into using the tactical belt for carrying equipment, the pouches or magazine holders can be very useful. 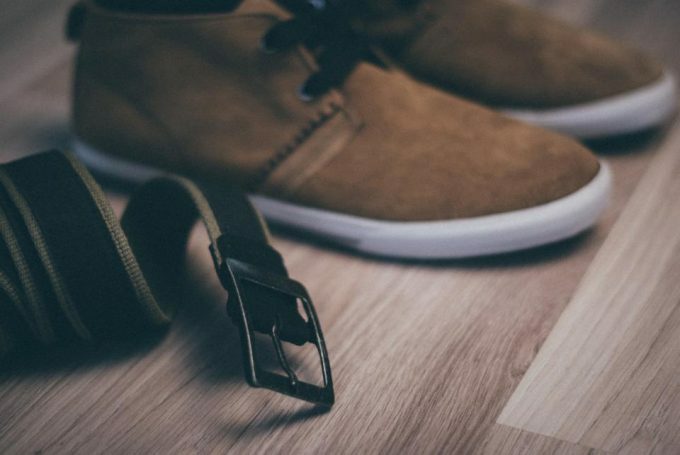 If you want a lighter belt, and you already have the accessories to attach to it, then buying a simpler one should be your choice. 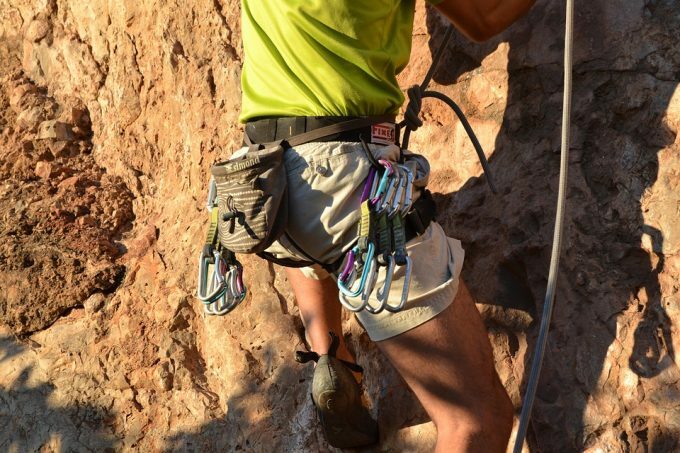 After closely looking at the most relevant features, it’s time to dig into the best tactical belts out there. 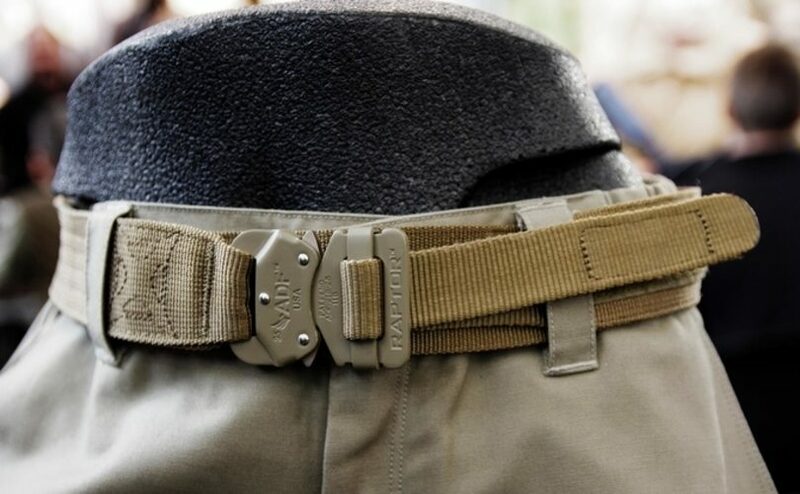 We came up with a list of the top reviewed tactical belts in the market, and we will look into their prices, features, pros and cons. Pay good attention and read carefully, that way you will be able to determine by the end of this article, which is the model that you want. Specific features: Considerable waist dimensions, to fit many different sizes, includes two magazine pouches, a 2 inch wide quick release buckle. Best use: Patrolling, hunting, hiking. Description: The Condor Tactical Belt is one of the best tactical belts out there. This is a very strong and durable item. It has a 2 inch width, making sure that strength is not an issue. Sure, it’s a bit heavier than others, weighing 12 ounces, but if you are planning on using it to take the equipment with you whilst patrolling, hiking or hunting, you will understand that the extra weight is worth it. The reason why it’s worth it, is because this tactical belt comes with two detachable pouches to fit small gear or items such as a flashlight, and it has a quick release buckle. Just by a quick movement of your hand, it’s off and you can go running, chasing or preparing yourself for other tasks. The other great feature is how adjustable it is. This belt has a waist dimension that goes from 28 inches to 44 inches, and it’s very easy to adjust not only for smaller waists, but even for animals. Some people use it on their dogs, to have them help carry a few items. Related: The Condor Tactical Leg Holster is for those passionate hunters, hikers or patrollers. Combine the belt and the leg holster to be able to carry with you absolutely all your gear or equipment and have it at arms reach all the time. Specific features: Made of nylon, available in black, green and coyote, non-metallic, low profile plastic buckle can be converted into a carry strap. Best use: Traveling, everyday use, hiking. Description: The 5.11 TDU 1.5-Inch Belt, is a versatile model that will allow you to wear on different occasions, with the advantages of a tactical belt, as well as going unnoticed. It is commonly used for traveling thanks to the non-metallic, plastic buckle. Simply wear at the airport and go through the security without having to remove it. What many reviewers say, is that they attach cell phones, sunglass cases and other pouches to the belt, and just take those off whilst going through the airport security, but not the belt. Also, this is quite a string tactical belt, to the point that it is often used as a strap. Many reviewers state how resistant and strong it is, with a great pulling force. They just adapt it to then strap, two bags together, or to hang things from the belt, and it holds. The only downside of this item is how hard it is to tighten it. Despite having an easy to use plastic buckle, actually the tightening features aren’t just complicated, but don’t really hold. If you want to tighten it too much, after a few minutes it will loosen again. Related: The 5.11 Men’s Taclite Shorts are commonly bought alongside this tactical belt. Both items are of the same brand and can be used together. The shorts are comfortable and great for traveling too, as they have extra side pockets. Specific features: Made of 1.5 inch heavy-duty nylon webbing, it is stiffened to support holsters and pouches, 1.5 inch cobra buckle, made in USA, available in black, coyote and gray. Description: The Elite CO Shooters Belt is the definition of a heavy duty and durable tactical belt. It is made with some of the best materials out there, 1.5 inches of heavy-duty nylon and webbing construction. Add to that the fact that is stiffened on purpose so that it can better support holsters, pouches and other equipment. The Cobra buckle is also a guarantee of strength and durability. Despite not being an ideal buckle for traveling, it is still very easy to release and set up back again. Also, it is one of those buckles that hold in place no matter the pressure or weight being used upon the belt. It has only one downside, and it is that one of the sides of the buckle is too big to fit the loops of any pants. This means that every time you want to dismantle it, or take out let’s say buckles or pouches, you will have to completely take it off, which is a hassle. Related: The High Speed Single Mag Pouch is a good pouch to buy with this belt. Since the belt is made for shooting, carrying an extra magazine in a pouch to have it at arms length is a great idea. Specific features: It comes with MIL-STD-858 parachute grade buckles and adapters, made with 1.75 inch webbing, comes with a hook and loop to secure running end, available in four colors, black, olive, desert brown and coyote. Best use: Hiking, hunting, parachuting. Description: The Blackhawk CQB-Rigger’s is a very good tactical belt that can be easily used for hiking or hunting. This belt comes with no buckle, but instead it has a hook and loop secure system, which holds even better than any buckle. That’s why no matter how much pressure or weight you put to it, it wont’ give up at all and stay in place. 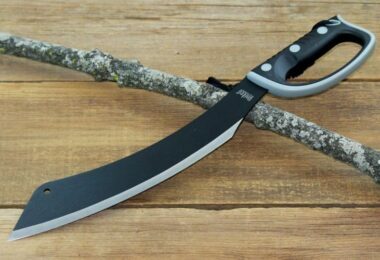 As a matter of fact, it is wider than most models, 1.75 inches wide, made with a very good webbing and capable of supporting up to 7,000 pounds of tension. The reason it holds so well is why they use it whilst parachuting. Parachuters use it to attach their buckles and adapters, which are normally heavy and tense a lot once the parachute opens. This tactical belt still holds. The main drawback comes from the hook and loop secure system. It takes time to both release it and set it up. Since it is built for safety, this belt is not as comfortable to just put on and off in seconds. However, you can be sure it won’t let you down. Related: The Condor MA3 Double Mag Pouch is normally bought alongside this belt. The pouch will be easily attached to the belt, which will hold strong and in place no matter how much weight is added to it. Specific features: Made of 1.5 inches heavy-duty nylon webbing, includes a metal buckle that doesn’t need to be removed to thread the belt, quick release fasteners available. Best use: Patrolling, shooting, hunting. Description: The Motusamare Military Shooters Belt is a heavy-duty, strong and stiffened belt that will enable you to easily carry your weapon and you magazine pouches everywhere. It is made of 1.5-inch wide heavy-duty nylon webbing, which guarantees to last. It comes with a metal buckle, not ideal for traveling, but for holding the weight and pressure on the belt. It was designed on purpose to carry military gear, like guns, and other equipment, hence why this buckle is so safe. It’s also a quick-release buckle, another military feature. If you need to chase a prey, or simply have more movement, release it with a single click and you are ready to be on the move. Its only problem is that this metal buckle has one of its ends that doesn’t fit the loops of any pants or shorts. This means that to set it up or take out some parts, you need to completely take off the belt, this is a hassle, but again, it was designed for shooters, patrollers and hunters, not really for an everyday use. One of the ends of the buckle doesn’t go through the loops of any pants, so you might have to take it off completely to add or take out pouches or equipment. Related: The Xtacer Tactical Molle Key Ring is a very handy item to buy with this tactical belt. Attach them together, and you’ll be able to have keys or smaller things at the reach of your hand. Specific features: Comes with dual mag pouches and holsters, easy buckle snap closures; it’s a 2-inch wide belt, with double-edge stitches. Description: The UTG Heavy Duty Elite Belt is a very practical tactical belt. It already comes with two removable pouches and holsters, that way it saves you money and the hassle of having to buy additional ones. This tactical belt is ready to have equipment attached to it. Also, it comes with a very easy buckle snap. With a simple touch of the hand it will release (although it is not exactly quick-release), and it will be easily attached back together. Despite being a cheaper, or less expensive belt than others, this buckle and belt hold very well altogether. It handles pressure and weight reasonably well without loosening or giving up in any way. The problem is one of the added features it comes with. The dual mag pouches are too small to hold many models of the magazines. For example, Glock30 magazines and others, will not fit in these pouches, being too small. Related: The UTG Elite Tactical Right Handed Holster is ideal to buy alongside the tactical belt. Hold the magazines and other equipment in the belt, whilst you carry your gun in the holster. Specific features: Made from 1000D nylon, also with 1.5 inches of MIL-Spec nylon webbing, supports holsters and pouches, includes a D ring buckle, water resistant. Best use: Hunting, hiking, shooting. Description: The Aiduy Tactical Belt is a military inspired belt. 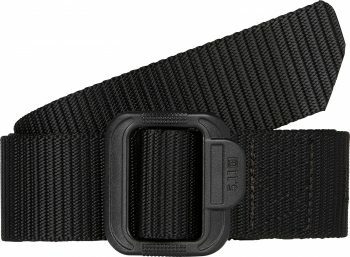 Made with 1000D nylon with 1.5 inches of Mil-Spec molle webbing, this belt is built to last and to support and hold as much weight and pressure you want. Military inspired means that this belt was designed to be used to carry weapons, heavy magazines, knives and other military equipment. Hence why it can take so much. It comes with a D ring buckle, which is very useful. As a matter of fact, this buckle is one of the few in the market, certainly the only one in this list that can be fastened without having to open it. This is extremely useful because if you already have the belt loaded with other items, sometimes fastening it becomes an issue, not with this buckle. One of the few downsides is that the D buckle can be a bit too big in one of the sides, creating the same problems that the Cobra buckle has, and that is that the loops of most pants are too small for one of the sides to pass through them. Meaning that whenever you have to take something out, you might have to take the whole belt off. 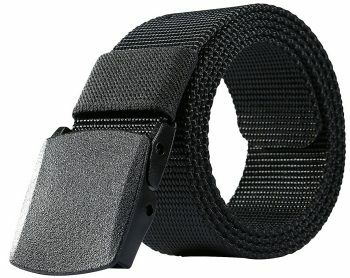 Related: The Xtacer Multipurpose D Ring is the ideal item to buy alongside this and any other tactical belt. Just attach the D ring to the belt and be ready to carry any other smaller items or keys. Specific features: Has a 1.8-inch buckle width, available in three colors: army green, black and mud, it can bear a 100N pulling force, nickel free plastic buckle. Best use: Everyday use, traveling. Description: The King Moore Military Tactical Belt is a military inspired belt, which however is more suited for traveling or every day use than anything else. As a matter of fact, this is a very affordable item with a plastic buckle, which will enable you to travel and go through the airport security without having to take the belt off. Just detach any items that might be hanging from the belt and that is all. Despite being a more travel-like item, it is made of strong nylon webbing and it can support up to 100N of tension or weight. This means it is not exactly the strongest, but it will last, and it will be able to carry the everyday weight a tactical belt needs to. Maybe even a gun. Its biggest issue is the buckle. It is plastic, which is good for traveling, and it has a very easy fastening system, but that same fastening feature is what makes it loosen very easily. If too much pressure is applied to it, or after walking for a while, it will slowly start to loosen, to the point where you have to tighten it over and over again. Related: The Condor HHR Pouch is a good item to buy with this belt. 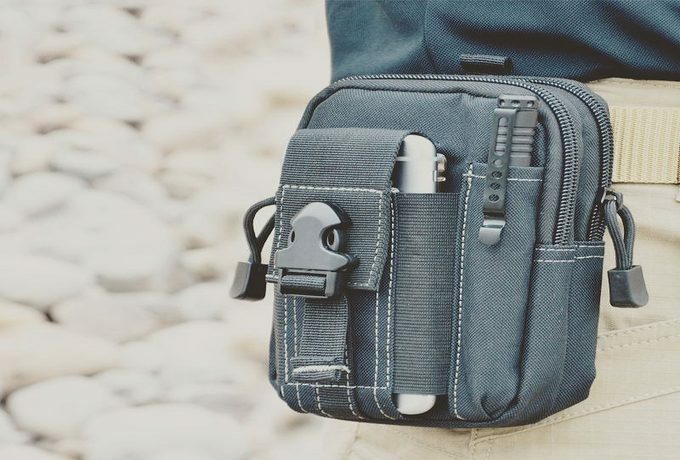 It is a more compact and less heavy pouch to take things such as walkie-talkies or flashlights that might come useful whilst traveling. It’s time for the closure. We took a close look at the features to consider before buying, as well as comparing the best tactical belts out there. You learned that features such as weight and width, could determine if the belt is the right for you and your purposes. You should now be able to know what would be suitable for you or not. Then, you learned which are the best tactical belt models out there, and hopefully you can now tell them apart and decide which one fits your purposes better. Remember, if you are going traveling, you might want one with an airport friendly buckle, but if you plan on patrolling or going hunting with it, you might want a thicker one with magazine pouches on it. 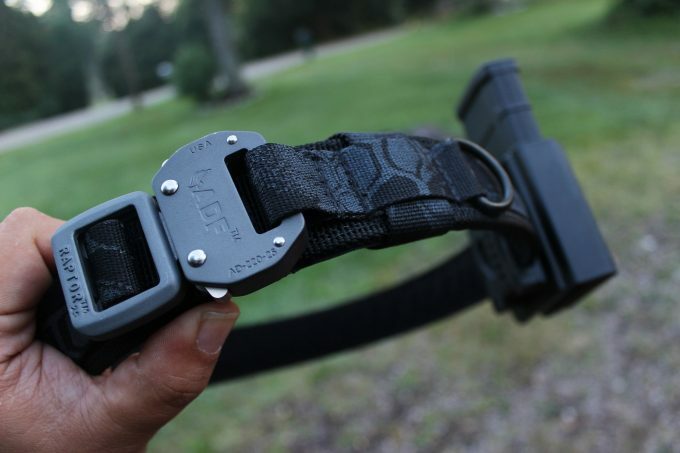 We hope that after reading this article you are now ready to buy your tactical belt. Is there any other question you might have? Did we forget any model you know of? If you have any questions or opinions, please type them in the comments section below; we would like to help you out!